The premium slim hi-res CCD side camera is a lower-profile version of our CCD side cameras. Includes automatic night-vision infrared LEDs. An RV or bus driver, you have certain responsibilities to your passengers and other drivers sharing the road. A large vehicle can cause significant damage in an accident, so it is critical that you take steps to make your commute as safe as possible. Blind spots are a serious problem for RV drivers and at least one small rear view camera is absolutely essential. You need to be able to see behind and to the side of your vehicle when shifting lanes, parking, and just driving in general. A quality RV backup camera makes this possible and, if you shop with us, quite affordable. Relying on a low-quality camera can be just as dangerous as not having one installed at all. Our heavy duty backup camera does not disappoint. The CCD lens provides a crystal-clear, HD image in full color so you can see exactly what is going on around you. It has a 120° viewable angle and a compact size ensuring that it does not get bumped in tight parking situations. If your camera does take a hit, you don't need to worry. Our heavy duty backup camera is made from incredibly strong metal that is built to last. This camera also comes with military grade night vision, a completely weatherproof casing, and mirrored imaging. These handy cameras are easy to install, and everything you need is included in the box. You can use one of our quality monitors, or you can add it to your existing system. Many RV drivers prefer to have multiple cameras, and all of our products are compatible for that very reason. You can hook up two cameras to our monitors and switch between them by pressing Video 1 or Video 2, or you can use a quad box or monitor to view both. Depending on your preference, you can leave them on to use as digital mirrors while you drive or have them activate when you put the RV in reverse. We can make your dream camera setup come true. If you have any questions, don't hesitate to ask our experts. We are proud to be able to offer a camera of this caliber for such a low price. 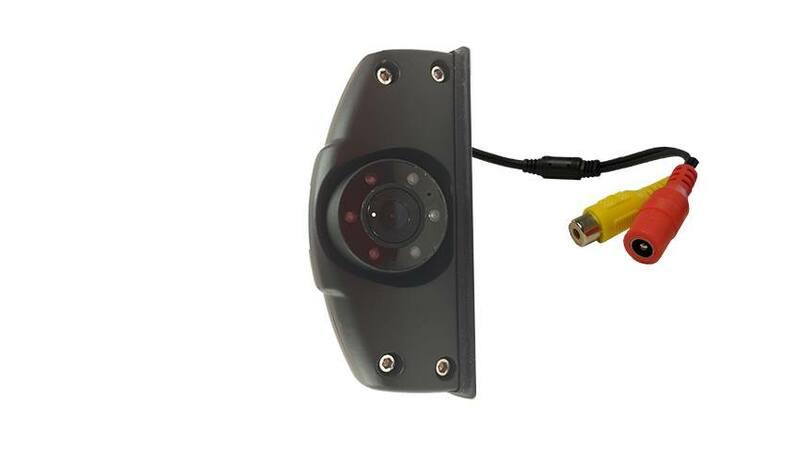 This heavy duty backup camera comes fully loaded with all of the features you would expect from a more expensive unit but at a fraction of the price. We also offer our customers a 24/7 technical support service. So, if you ever have any questions or concerns, just call an expert at (866) 966-5550 ext. 2. After years in this business, Tadi Brothers are the industry leaders. Place your order today to see why informed consumers consistently choose us.